Have questions about your game night experience? Click the button below to view our frequently asked question page. The National Basketball Association and the Utah Jazz are committed to creating a safe, comfortable, and enjoyable sports and entertainment experience. Vivint Smart Home Arena is located in downtown Salt Lake City, approximately three minutes from team hotels and about 15 minutes from the Salt Lake International Airport. Parking for your next Jazz game is easier than you think. View parking options close to the arena, and download a printable parking map. The Jazz Dancers entertain the crowd and cheer on the Jazz during every game at Vivint Smart Home Arena. They also make special appearances at community events. 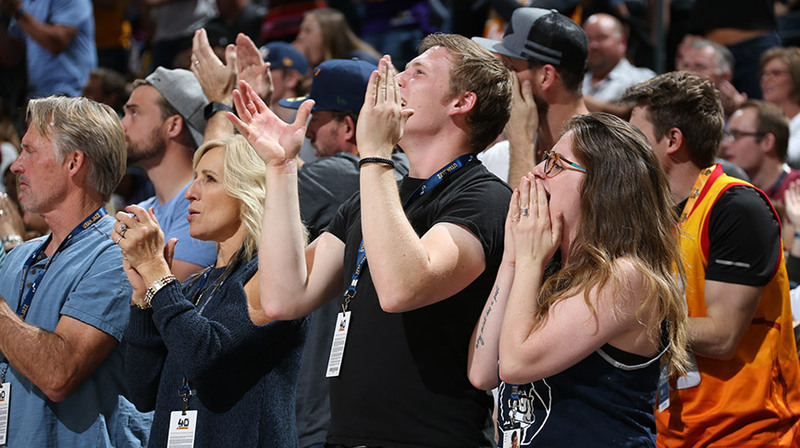 Whether he's on the court pumping up the crowd or spraying fans with silly string, Jazz Bear is an unforgettable part of the game night experience. Aerials. Tumbling. Lifts. Pyramids. You name it, they can do it. With routines that amaze and entertain, the ICON Stunt Team performs during several Jazz games each year. The Utah Jazz Dunk Team performs during game breaks at select Jazz games at Vivint Smart Home Arena. The Cyprus Hype Team has given new life to the upper bowl! On game nights, they're busy tossing out prizes and elevating the game experience for fans in the upper bowl, and they also perform hip-hop routines on the court.